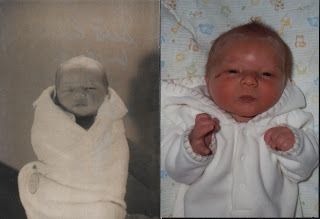 The Crocheron's Blog: Which one is Quinn and which one is Dad? There is a similarity isn't there? PS: don't know why Dad's picture is in Black and White! Which one is Quinn and which one is Dad? There is a similarity isn't there? PS: don't know why Dad's picture is in Black and White!